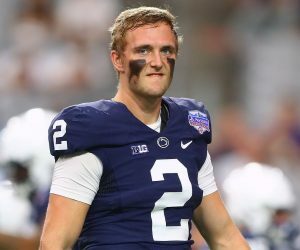 PENN STATE BIGS IN JAIL FOR SANDUSKY SCANDAL CRIMES! Freedom was the high cost for two Penn State execs caught up in the Jerry Sandusky sexual assault scandal. 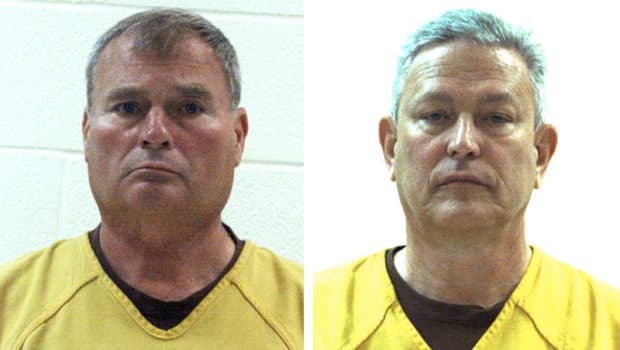 Former university vice president Gary Schultz (left) and former athletic director Tim Curley turned themselves in yesterday to Centre County Correctional Facility. Schultz and Curley pleaded guilty to misdemeanor child endangerment in March, leading prosecutors to drop three felony charges of child endangerment and conspiracy. 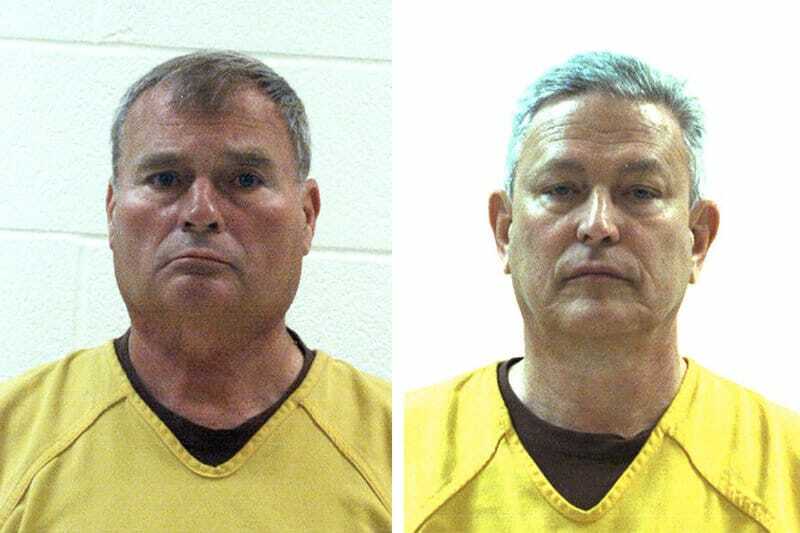 Curley, 63, must serve three months in jail, while Schultz, 67, has two months behind bars. Jail officials said they will be evaluated for participation in work release while incarcerated. A co-defendant, former Penn State president Graham Spanier, 68, was convicted of the same offense and faces two months in jail. Spanier remains free on bail while he appeals to Superior Court. Spanier continues to be a tenured faculty member and is on administrative leave. A deal with the university when he was forced out as president after Sandusky’s arrest in November 2011 pays him $600,000 a year, ending this fall, after which he will receive a salary. 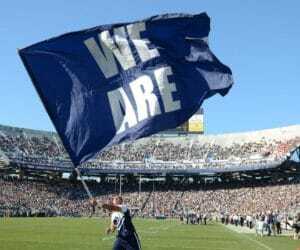 The three men received a complaint from a graduate assistant football coach in February 2001 who said he was highly disturbed by seeing Sandusky appear to sexually abuse the boy late on a Friday night in a team shower. They told Sandusky not to bring children onto campus anymore, but prosecutors said the administrators had no plan to enforce that rule. Police were not notified, and a criminal investigation into Sandusky did not begin until a Pennsylvania school district reported another complaint about him in 2008. Sandusky was convicted in 2012 of 45 counts of child sexual abuse. He maintains his innocence and is appealing, while serving 30 to 60 years in state prison. The scandal led the university to fire Hall of Fame football coach Joe Paterno, who was informed of the 2001 incident the next morning by the assistant, Mike McQueary. Paterno notified Curley but did not call police. He died in 2012, a few months after his firing, and was never charged with a crime. An anonymous email in 2010 led investigators looking into Sandusky to contact McQueary, and he proved to be a critical witness at the criminal trials of both Sandusky and Spanier. Previous SIXER SUPERROOK FULTZ DOESN’T SMILE ENOUGH FOR ONE CRITIC! Next FOLLOW THE MONEY! HERE’S WHERE EAGLES ARE SPENDING IT!